Skyraiders, attack planes like A-4 Skyhawks and A-7 Corsairs, and fighter planes like F-8 Crusaders. It used various support aircraft for ASW, early warning, and advance communications links. OTHER DEVELOPMENTS Even during the Vietnam Police Action, the Navy was involved in exploration and development. Former Navy pilot Neil Armstrong became the first man to set foot on the moon on July 20, 1969. On November 14, 1969, the all-Navy Apollo 12 crew lifted off from the Kennedy Space Center on the second lunar expedition. 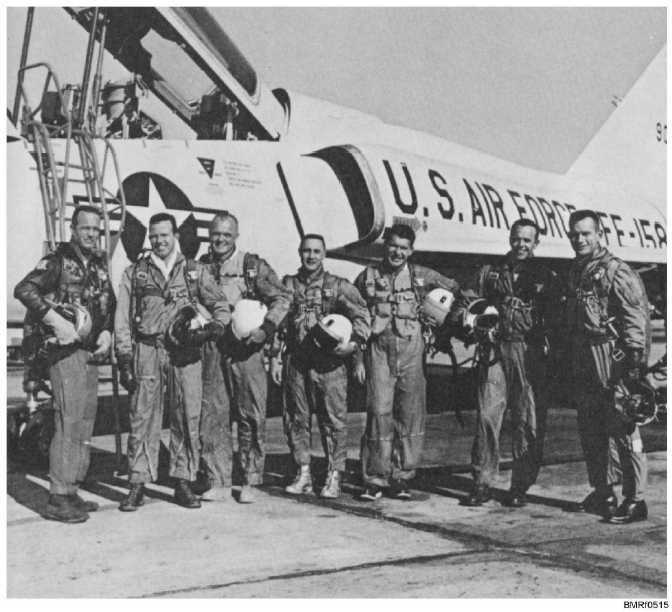 5-29 Student Notes: Figure 5-15.Seven original NASA astronauts.